Three years ago we identified innovation and service excellence as cornerstones of our success as a customer-focused organisation. Since then we’ve dedicated ourselves to finding new and better ways to meet our customers’ needs – no small challenge given that they’re looking for speed, control and choice in their interactions, technological ingenuity in services and solutions, and environmental, social and employer responsibility in their suppliers. In the past 12 months we’ve invested in all three fronts, and with our people’s support have taken some important and rewarding steps. It’s required a whole new way of thinking and some fundamental changes to the way we work, but has brought with it much-improved prospects for our organisation as a mail and logistics provider of choice. In the past year we’ve developed and made progress towards a new organisational model, in which our frontline leaders will have greater decision-making responsibilities. They’ll be supported by a central backbone of services, with many of the day-to-day systems and processes driven by technology rather than people. With access to tools that reduce administration time, these leaders will be able to focus on building and growing relationships with their customers and responding to service opportunities. 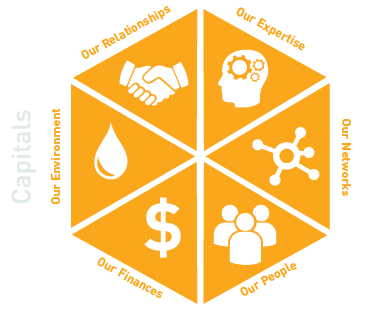 The way we work, to ensure that our people have workplaces in which they can thrive and our business can flourish. We’re now well underway with this work, with frontline leaders heavily involved in shaping their new roles and identifying the support, tools and processes they need. ParcelPod, which allows recipients to direct their parcels to dedicated parcel lockers, then collect them any time. ParcelPods are currently available in Auckland, Hamilton, Tauranga, New Plymouth, Wellington and Christchurch. BringIt, which enables people to use their smartphones to order items from retailers and have them delivered across town by urgent courier. Change, which enables people moving house to update their address details in one place online and easily send them to organisations (e.g. a power company) of their choice. As we’ve done for many years, we seek every opportunity to reduce our impacts on the environment. Our efforts do much more than tick the ‘done that’ box – we help our suppliers and customers to minimise their impacts too. For example, in 2015/16 we hosted a workshop with key suppliers on ways to work together to identify and reduce our environmental impacts, and ultimately improve our standing among our increasingly discerning customers. 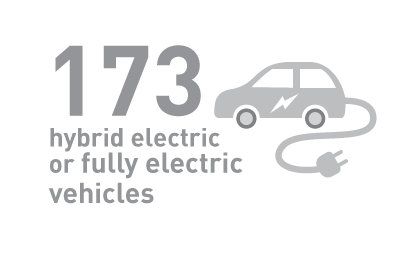 A highlight of our sustainability programme in 2015/16 was the successful pilot of electric delivery vehicles in New Plymouth. This led to substantial reductions in greenhouse gas (GHG) emissions and fuel costs; in one month we saw GHG emissions in the pilot area reduce by more than 65% and fuel costs by more than 60%. Ensuring the freight network is appropriate for the load it’s expected to carry, taking full advantage of the latest high-productivity vehicle dimension rules. 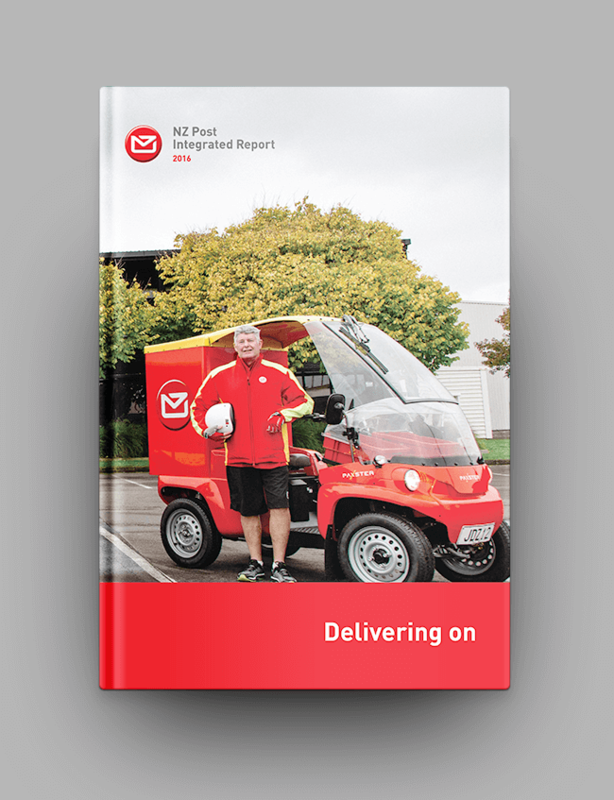 Joining a number of other New Zealand organisations in ‘upcycling’ our old postie and corporate uniforms. 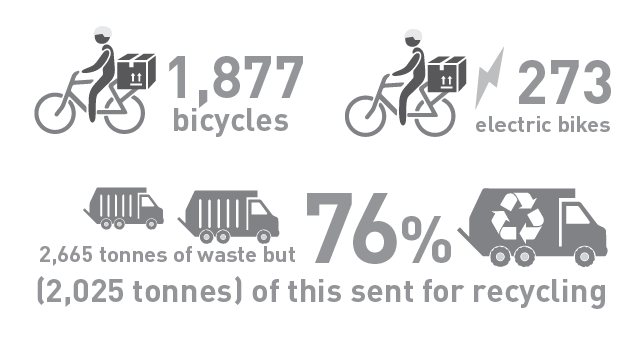 We also implemented a new reporting approach that enables us to measure GHG emissions on a ‘per parcel’ and ‘per letter’ basis. An increase in the amount of electricity used to heat and cool our buildings. The last two increases are disappointing and plans are in place to address them in the coming year. Pleasingly, we did see a reduction in carbon emissions in key focus areas: fuel use in our vehicle fleet; domestic air freight (both of which indicate we are moving items more efficiently in the network); corporate air travel; natural gas use and waste/recycling. Enviro-Mark Platinum certification for our mail-house operations. This recognised our work in identifying, communicating and managing health, safety and environmental risks in the workplace, and has provided invaluable evidence to our business customers of our commitment to wellbeing and environmental sustainability. We have been CEMARS (Certified Emissions Measurement And Reduction Scheme) certified since 2013. CEMARS certification is awarded to companies that actively work to understand and improve their environmental impacts. We have been a member of the London Benchmarking Group (LBG) for over 5 years, a globally recognised standard designed to determine the real value and impact of corporate community investment to business and society. 2015/16 saw a strong continued decline in the number of workplace injuries requiring treatment from medical providers – an impressive 43% reduction from 508 in 2014/15 to 288 in the past 12 months. This is a real credit to our managers and their teams, who are determined to reach our target of zero harm. 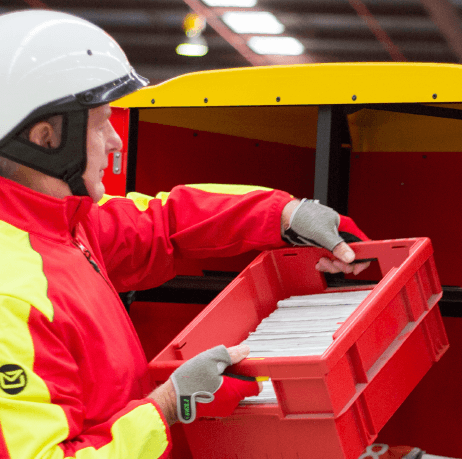 In the Auckland area, 12 out of 16 mail delivery branches went 12 months injury free, a significant achievement given the daily risks of accident to our delivery agents. Our commitment to health and safety extends beyond our employees to include contractors, suppliers, customers and members of the public, and we are conscious of the potential risks of our activities to the community. To ensure compliance with the new Health and Safety at Work Act 2015, we’ve liaised closely with WorkSafe New Zealand to check that our systems and processes align with the Act’s intent, and made sure that our delivery contractors are aware of their new responsibilities. We have maintained our top-level ‘tertiary’ status in ACC’s Workplace Safety Management Practices programme. This recognises that we “operate a continuous improvement framework for workplace health and safety management”. We’ve also developed an online learning module that teaches our employees how best to deal with aggressive or abusive customers. 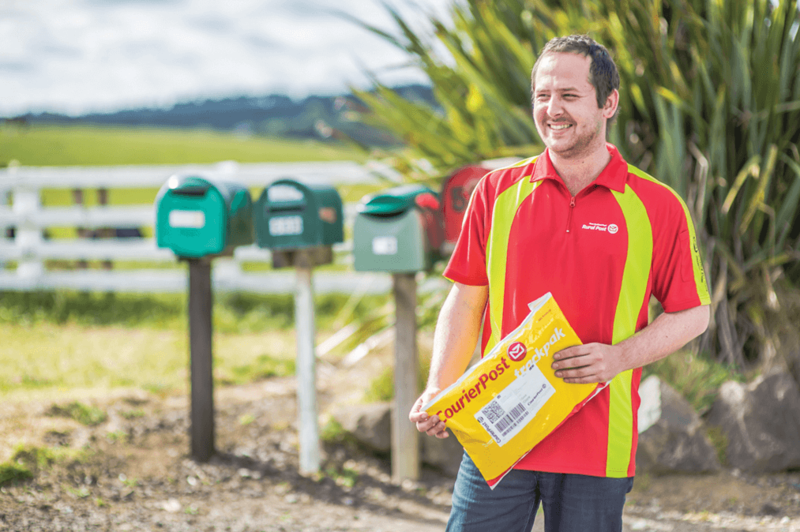 NZ Post supported the Red Cross’ annual fundraising appeal in March 2016 by distributing donation postcards throughout its store network. We've also continued our support to communities by reaching over 250,000 children through our partnerships with NZ Cricket’s junior cricket programme, Weetbix Kids TRYathlon, Tennis HotShots and Hockey Small Sticks. Over 2,300 not-for-profit groups also received NZ Post’s support through Community Post to help with their community projects. As a Z Energy customer and a foundation partner for its new biodiesel production plant in Wiri, using Z Bio D to power our diesel vehicles (see the case study for more on this).